Give our retail website, Two Sisters Ecotextiles, a look and let us know what you think. and that workers have basic rights. Polyester is much (much, much, much!) cheaper than natural fibers and it wears like iron – so you can keep your sofa looking good for 30 years. The real question is, will you actually keep that sofa for 30 years? There is still a problem with the production of synthetics. 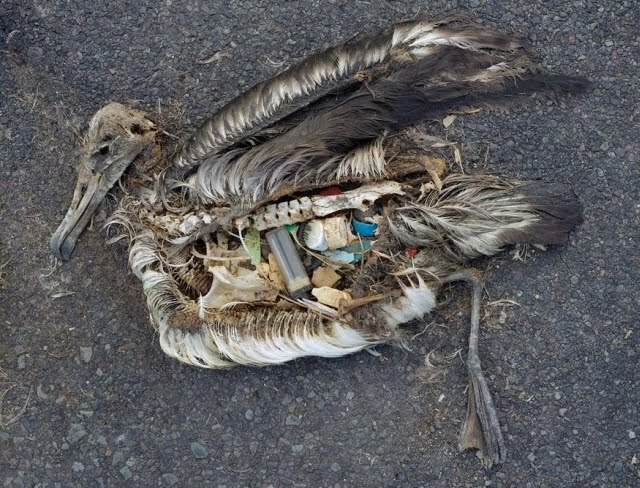 Burgeoning evidence about the disastrous consequences of using plastic in our environment continues to mount. A new compilation of peer reviewed articles, representing over 60 scientists from around the world, aims to assess the impact of plastics on the environment and human health  But synthetics do not decompose: in landfills they release heavy metals, including antimony, and other additives into soil and groundwater. If they are burned for energy, the chemicals are released into the air. Organic agriculture acts as a carbon sink: new research has shown that what is IN the soil itself (microbes and other soil organisms in healthy soil) is more important in sequestering carbon that what grows ON the soil. And compared to forests, agricultural soils may be a more secure sink for atmospheric carbon, since they are not vulnerable to logging and wildfire. The Rodale Institute Farming Systems Trial (FST) soil carbon data (which covers 30 years) demonstrates that improved global terrestrial stewardship–specifically including regenerative organic agricultural practices–can be the most effective currently available strategy for mitigating CO2 emissions. We’re not great fans of synthetics: Polyester is made from crude oil, and is the terminal product in a chain of very reactive and toxic precursors. The manufacturing process requires workers and our environment to be exposed to some or all of the chemicals produced during the manufacturing process. There is no doubt that the manufacture of polyester is an environmental and public health burden that we would be better off without. But there is a great quantity of existing polyester on this Earth, and there is only so much farmland that is available for cotton and other fiber crops, even though we have enough land to grow all the food and fiber we like, at least in theory. The biggest drawback to polyester production is that it requires a lot of energy, which means burning fuel for power and contributing to climate change. But to put that in perspective, Linda Greer, director of the health program at the Natural Resources Defense Council, says you actually release more carbon dioxide burning a gallon of gas than producing a polyester shirt. However factories where polyester is produced which do not have end-of-pipe wastewater treatment systems release antimony along with a host of other potentially dangerous substances like cobalt, manganese salts, sodium bromide, and titanium dioxide into the environment. In theory, cotton is biodegradable and polyester is not. But the thing is, the way we dispose of clothing makes that irrelevant. For cotton clothes to break down, they have to be composted, which doesn’t happen in a landfill. But we keep returning to one point: there are already polyester bottles in existence. 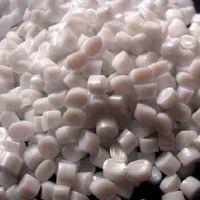 World demand for polyester in 2014 was a bit more than 46 million tons. 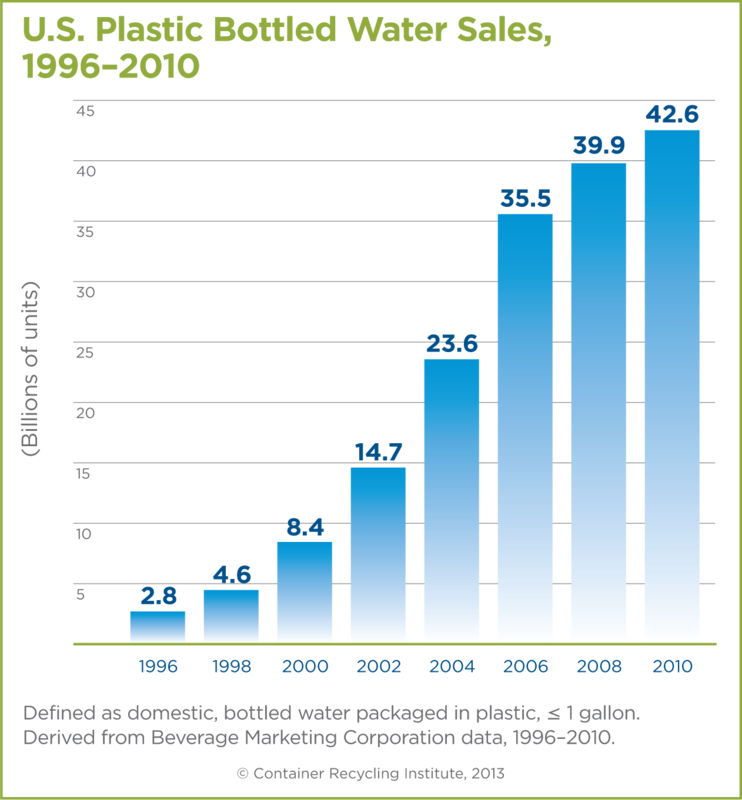 Only a small percentage of that is used for bottles, but that’s still a lot of bottles – in the United States, more than 42 billion bottles of water (only water!) were produced in 2010. Doesn’t it make sense to re-use some of these bottles? Mulling over the possibilities. Let us know how you feel. Laurie Lemmlie-Leung, of Sapphire International, Ltd, which is a GOTS certified terry mill, pointed out that in their experience, “If we do not have an approved “GOTS Product Specification Plan” and transaction certificates showing that all the inputs are also GOTS certified, then we cannot use the GOTS label on the product.” And that is indeed the case: a GOTS logo on any product means that all processing up to the final product is GOTS certified. So if GOTS certified cotton yarn is being sold, it can display the logo. However, if that yarn is used to weave a fabric in a non-certified facility, the final fabric cannot display the logo. So when you see a GOTS logo on a product, you can rest assured that the entire supply chain has been certified. Now, back to discussion of certifications: Before giving a summary of the main points of each of the certifications which deal with fiber processing (i.e., weaving), it’s important to remember that most of these certification programs are in business – so it costs money to achieve the certification – sometimes it costs a LOT of money. In addition there is the burden of documentation, which increases administrative costs for the manufacturer. Cradle to Cradle and GreenGuard can cost quite a bit, so when you look on the web sites to find which products have these certifications, you see mostly large, well established companies which can afford to absorb the certification costs. On the GreenGuard website, for example, it lists 1943 individual products, but all 1943 products are manufactured by only 20 large, well-known companies. Sometimes smaller manufacturers decide not to pay the costs of certification, even though they may be doing everything “by the book”, because they’re operating on a shoestring. Unfortunately, the many unethical claims make third party certification a requirement. In addition to certifications, there are many new “green guides” on the internet which purport to list green products. Some are valiantly trying to make order out of chaos, while others are simply adding to the confusion. Of these, a basic listing may (or may not) be free, but any additional bells and whistles costs money. So green products may be specially featured or identified (sometimes as “best”) because the manufacturer has paid for the spotlight. The same is true of television shows which purport to cover new green products. We have been approached several times by television programs featuring a well-known personality who would wax eloquently about our fabrics – if only we were to pay the right price. What does this all mean? Do your own homework! Most of these “experts” have no more knowledge than you do. And again, certifications provide a reliable yardstick to determine quality standards. These are the certifications you’re most likely to run into, and they are very different. So different, in fact, that we’ll take a few weeks to explore what each one tells us. 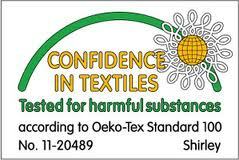 This week, we’ll start with one of the oldest certifications: Oeko Tex. Oeko-Tex 1000 (for production sites/factories). Products satisfying the criteria for Oeko-Tex 100 which are produced in an Oeko-Tex 1000 certified facility may use the Oeko-Tex 100Plus mark, which is simply a combination of the two. Oeko Tex was founded in 1992, by the Austrian Textile Research Intitute (OTI) and the German Research Institute Hohenstein, to provide an objective and reliable product label for consumers. Its aim is to ensure that products posed no risk to health. Do not contain allergenic dye-stuffs and dye stuffs that form carcinogenic arylamines. Have been tested for pesticides and chlorinated phenoles. Have been tested for the release of heavy metals under artificial perspiration conditions. Formaldehyde is banned; other aldehyde limits are significantly lower than the required legal limits. Have a skin friendly pH. Are free from chloro-organic carriers. Are free from biologically active finishes. 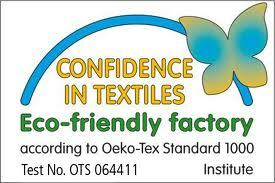 The Oeko-Tex 1000 is a certification for environmentally-friendly textile production. The mark is not applied directly to products, but may be used by the production site (for example, on its letterhead and official documents). The “local effects” consideration does NOT include an evaluation of labor practices and is not meant to be an indicator of whether a production site is following fair labor practices. This label may be used on products that have met the Oeko-Tex 100 Standard and are also produced in a facility that meets the Oeko-Tex 1000 Standard. Oeko Tex 100 is product specific – they don’t look at processing (i.e., water treatment, workers rights, emissions, sludge), it only means that the finished product (fabric, yarn, clothing, etc.) has limit values for chemicals which are below the threshold limits on the Oeko Tex list, with many specifically prohibited. Oeko Tex 1000 is site specific, and documents that certain environmental standards are met, but these do not include workers rights issues. 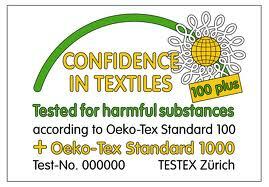 Oeko Tex 100+ means that the site meets environmental standards and the product itself is safe to use. When is recycled polyester NOT recycled polyester? 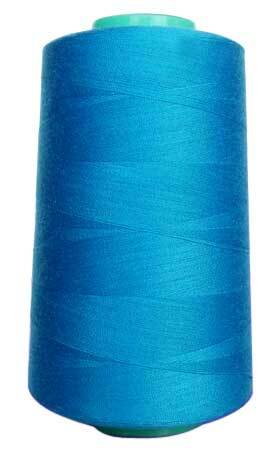 Fabric might be the only product I can think of which is known by its component parts, like cotton, silk, wool. These words usually refer to the fabric rather than the fiber used to make the fabric. We’ve all done it: talked about silk draperies, cotton sheets. There seems to be a disassociation between the fibers used and the final product, and people don’t think about the process of turning cotton bolls or silkworm cocoons or flax plants into luxurious fabrics. There is a very long, involved and complex process needed to turn raw fibers into finished fabrics. Universities award degrees in textile engineering, color chemistry or any of a number of textile related fields. One can get a PhD in fiber and polymer science, or study the design, synthesis and analysis of organic dyes and pigments. Then there is the American Association of Textile Chemists and Colorists (AATCC) which has thousands of members in 60 different countries. My point is that we need to start focusing on the process of turning raw textile fiber into a finished fabric – because therein lies all the difference! And that brings me to recycled polyester, which has achieved pride of place as a green textile option in interiors. We have already posted blogs about plastics (especially recycled plastics) last year (on 4.28.10, 5.05.10 and 5.12.10) so you know where we stand on the use of plastics in fabrics. But the reality is that polyester bottles exist, and recycling some of them into fiber seems to be a better use for the bottles than landfilling them. But today the supply chains for recycled polyester are not transparent, and if we are told that the resin chips we’re using to spin fibers are made from bottles – or from any kind of polyester – we have no way to verify that. Once the polymers are at the melt stage, it’s impossible to tell where they came from, because the molecules are the same. So the yarn/fabric could be virgin polyester or it could be recycled. Many so called “recycled” polyester yarns may not really be from recycled sources at all because – you guessed it! – the process of recycling is much more expensive than using virgin polyester. And unfortunately not all companies are willing to pay the price to offer a real green product, but they sure do want to take advantage of the perception of green. So when you see a label that says a fabric is made from 50% polyester and 50% recycled polyester – well, there is absolutely no way to tell if that’s true. Some companies are trying to differentiate their brands by confirming that what they say is recycled REALLY is from recycled sources. Unifi, which supplies lots of recycled resins and yarns, has an agreement with Scientific Certification Systems to certify that their Repreve yarns are made from 100% recycled content. Then Unifi’s “fiberprint” technology audits orders across the supply chain to verify that if Repreve is in a product , that it’s present in the right amounts. But with this proprietary information there are still many questions Unifi doesn’t answer – the process is not transparent. And it applies only to Unifi’s branded yarns. Along with the fact that whether what you’re buying is really made from recycled yarns – or not – most people don’t pay any attention to the processing of the fibers. Let’s just assume, for argument’s sake, that the fabric (which is identified as being made of 100% recycled polyester) is really made from recycled polyester. But unless they tell you specifically otherwise, it is processed conventionally. That means that the chemicals used during processing – the optical brighteners, texturizers, dyes, softeners, detergents, bleaches and all others – probably contain some of the chemicals which have been found to be harmful to living things. The processing uses the same amount of water (about 500 gallons to produce 25 yards of upholstery weight fabric) – so the wastewater is probably expelled without treatment, adding to our pollution burden. And there is no guarantee that the workers who produce the fabric are being paid a fair wage – or even that they are working in safe conditions. One solution, suggested by Ecotextile News, is to create a tracking system that follows the raw material through to the final product. They assumed that this would be very labor intensive and would require a lot of monitoring (all of which adds to the cost of production – and don’t forget, recycled polyester now is fashion’s darling because it’s so cheap!). But now, Ecotextile News‘ suggestion has become a reality. There is a new, third party certification which is addressing these issues. The Global Recycle Standard (GRS), issued by Control Union, is intended to establish independently verified claims as to the amount of recycled content in a yarn. The GRS provides a track and trace certification system that ensures that the claims you make about a product can be officially backed up. It consists of a three-tiered system with the Gold standard requiring products to contain between 95 percent to 100 percent recycled material; the Silver standard requires products to be made of between 70 percent to 95 percent recycled product; and the Bronze standard requires products to have a minimum of 30 percent recycled content. Water. Our lives depend on it. It’s so plentiful that the Earth is sometimes called the blue planet – but freshwater is a remarkably finite resource that is not evenly distributed everywhere or to everyone. The number of people on our planet is growing fast, and our water use is growing even faster. About 1 billion people lack access to potable water, and about 5 million people die each year from poor drinking water, or poor sanitation often resulting from water shortage – that’s 10 times the number of people killed in wars around the globe. And the blues singers got it right: you don’t miss your water till the well runs dry. I just discovered that the word “rival” comes from the Latin (rivalis) meaning those who share a common stream. The original meaning, apparently, was closer to our present word for companion, but as words have a way of doing, the meaning became skewed to mean competition between those seeking a common goal. This concept – competition between those seeking a common goal – will soon turn again to water, since water, as they say, is becoming the “next oil”; there’s also talk of “water futures” and “water footprints” – and both governments and big business are looking at water (to either control it or profit from it). Our global water consumption rose sixfold between 1900 and 1995 – more than double the rate of population growth – and it’s still growing as farming, industry and domestic demand all increase. The pressure is on. Note: There are many websites and books which talk about the current water situation in the world, please see our bibliography which is at the bottom of this post. What does all this have to do with fabrics you buy? The textile industry uses vast amounts of water throughout all processing operations. Almost all dyes, specialty chemicals and finishing chemicals are applied to textiles in water baths. Most fabric preparation steps, including desizing, scouring, bleaching and mercerizing, use water. And each one of these steps must be followed by a thorough washing of the fabric to remove all chemicals used in that step before moving on to the next step. The water used is usually returned to our ecosystem without treatment – meaning that the wastewater which is returned to our streams contains all of the process chemicals used during milling. This pollutes the groundwater. As the pollution increases, the first thing that happens is that the amount of useable water declines. But the health of people depending on that water is also at risk, as is the health of the entire ecosystem. The actual amount of water used is not really the point, in my opinion. 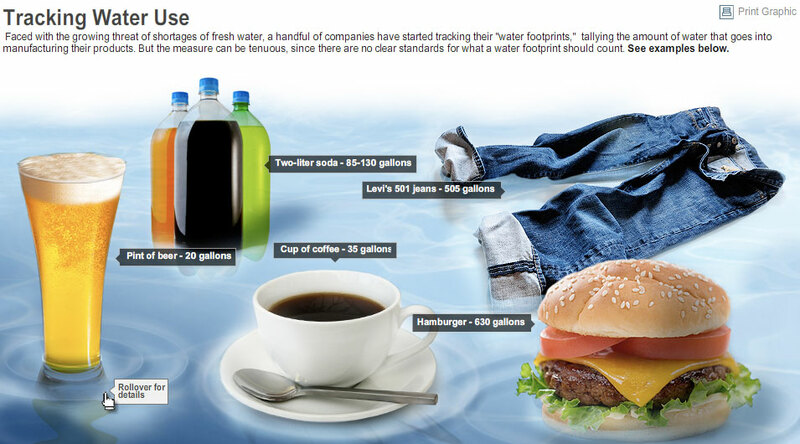 What matters is that the water used by the textile industry is not “cleaned up” before they return it to our ecosystem. The textile industry’s chemically infused effluent – filled with PBDEs, phthalates, organochlorines, lead and a host of other chemicals that have been proven to cause a variety of human health issues – is routinely dumped into our waterways untreated. And we are all downstream. The process chemicals used by the mills are used on organic fibers just as they’re used on polyesters and conventionally produced natural fibers. Unless the manufacturer treats their wastewater – and if they do they will most assuredly let you know it, because it costs them money – then we have to assume the worst. And the worst is plenty bad. So just because you buy something made of “organic X”, there is no assurance that the fibers were processed using chemicals that will NOT hurt you or that the effluent was NOT discharged into our ecosystem, to circulate around our planet. So water treatment of polyester manufacturing should be in place also. In fact there is a new standard called the Global Recycle Standard, which was issued by Control Union Certifications. The standard has strict environmental processing criteria in place in addition to percentage content of recycled product – it includes wastewater treatment as well as chemical use that is based on the Global Organic Textile Standard (GOTS) and the Oeko-Tex 100. And to add to all of this, Maude Barlow, in her new book, Blue Covenant (see bibliography below) argues that water is not a commercial good but rather a human right and a public trust. These mills which are polluting our groundwater are using their corporate power to control water they use – and who gives them that right? If we agree that they have the right to use the water, shouldn’t they also have an obligation to return the water in its unpolluted state? Ms. Barlow and others around the world are calling for a UN covenant to set the framework for water a a social and cultural asset, not an economic commodity, and the legal groundwork for a just system of distribution. Tackling the Big Three (air and water pollution, and sanitation), David J. Tenenbaum, Environmental Health Perspectives, Volume 106, Number 5, May 1998. CSE study on pollution of Bandi river by textile industries in Pali town, Centre for Science and Environment, New Delhi, May 2006 and “Socio-Economic, Environmental and Clean Technology Aspects of Textile Industries in Tiruppur, South India”, Prakash Nelliyat, Madras School of Economics.